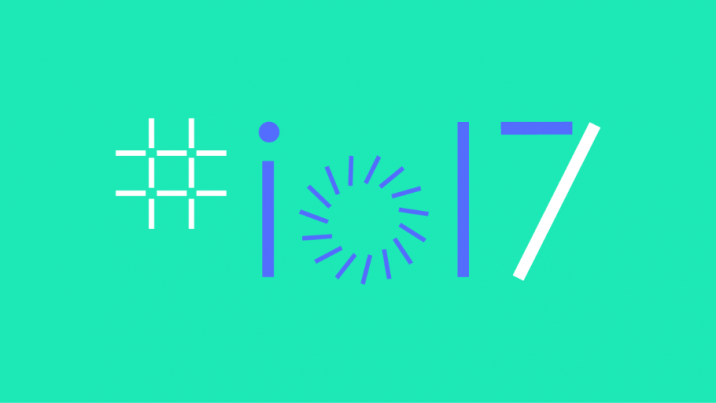 Google continues to announce its new developments in AR and VR technology on day two of Google I/O 2017. Some announcements include a version of Chrome for Daydream, the ZenFone AR and Google Lens. 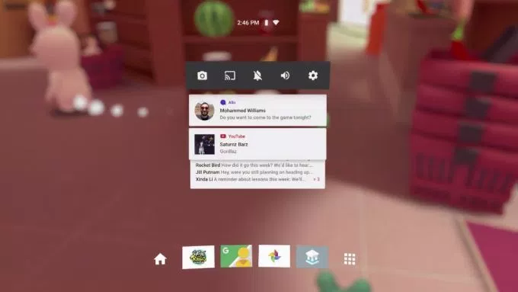 Google announced a version of Chrome that works with Daydream, the company’s virtual reality platform. This allows viewers to surf the web in their headsets and more seamlessly watch WebVR content. Google is rolling out its latest update for Daydream, codenamed Daydream Euphrates, which allows users to takeIndividual instance of a shot; a take = each time the camera is started and stopped. screen captures and show their screen on a Chrome-equipped television. These new features essentially offer a way for people outside the headset to share a small portion of the same experience as the person in the headset. Euphrates will be available on Daydream devices later this year. Also announced is YouTube’s plan to make its VR app more social by allowing people to watch videos together. Essentially, small groups can sync videos to watch at the same time so they can talk about the experience as it happens. Viewers will be able to see who else is in the “room” via each person’s corresponding avatar at the bottom of the screen. Google announced the first smartphone to work with both Daydream and Tango, meaning the phone can use both virtual reality and augmented reality. Tango allows the phone to have motion trackingA technique for recording the movement of an object within a scene, to hide or paint that object or to affix a composite... More, area learning and depth perception abilities by using TriCam technology, which includes a high resolutionThe number of pixels in an image, typically presented as a ratio of the total pixels on x axis to the total pixels on th... More 23 MP camera, a motion trackingA technique for recording the movement of an object within a scene, to hide or paint that object or to affix a composite... More camera and a depth sensing camera. 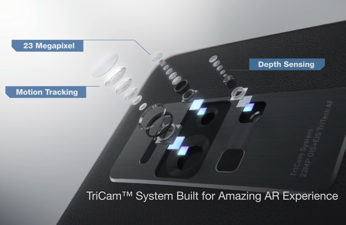 The 23 MP camera allows users to see virtual objects in your actual environment, the motion trackingA technique for recording the movement of an object within a scene, to hide or paint that object or to affix a composite... More camera enables the ZenFone AR to track its own location while moving, and the depth sensing camera, which includes an infrared projector, allows the ZenFone AR measure distance from real-world objects. This technology would allow people to shop in stores and see which clothes are available in their size or see what furniture looks like in their homes before buying. The ZenFone AR will be a carrier-exclusive to Verizon and will be available this summer. Google Lens works through Google Assistant and gives a smartphone’s camera an entirely new set of abilities. For one, it can give its user information. For example, if you pointed your camera at a flower, your phone can tell you what kind of flower it is. Another practical use would be if you pointed your camera at a restaurant, your phone would be able to pull up the restaurant’s information, including hours and reviews. Your childhood dream of traveling on Ms. Frizzle’s magic school bus didn’t seem as impossible when Google announced Google Expeditions, which allowed teachers to takeIndividual instance of a shot; a take = each time the camera is started and stopped. students on virtual reality field trips with Google cardboards. Google is now creating content for Tango, the company’s AR platform, by using the new Asus Zenfone AR. 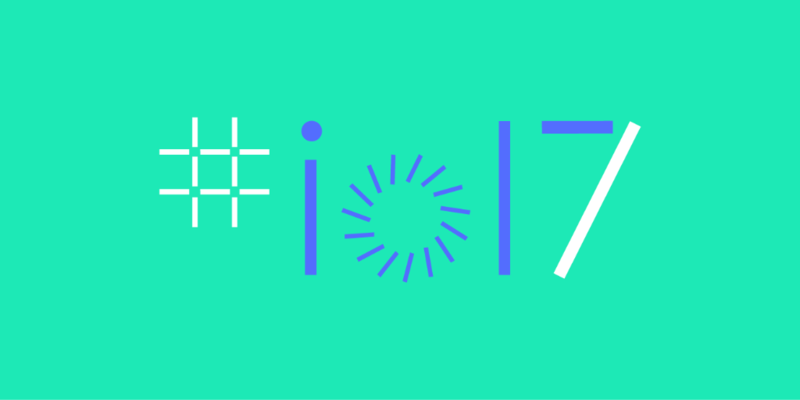 Keep checking in for updates as Google I/O 2017 continues. Lindsey Miller recently graduated from the University of Missouri, with a degree in documentary journalism. During her time at MU, she helped produce, film and edit 360 videos for StoryUP VR.